KoopaTV: Great Progress, America! Big-League Tax Package! “Thank you for cutting my TAXES!” - This dude in a just-released Thank You Trump ad. Due to how the Senate's weird rules work, in order to be able to pass this bill with a 50-vote threshold instead of a 60-vote threshold (out of 100 Senators), they had to have the will-be-reduced individual rates return to what they currently are as of today, several years out into the future (a tax increase), so the Democrats claim the entire bill is a tax increase on the poor and middle class or something. They also are suddenly concerned about the national debt and deficit after eight years of not giving a damn. By 2025 or whatever, you'll have a different president and a different Congress, and they will be able to vote to extend the lower tax rates by another 10 years, or make them even lower, or abolish the Senate's reconciliation rules, or scrap the Internal Revenue Service entirely and implement a national consumption tax as a replacement to the income tax. Legislative bodies in the future aren't bound by what happens now. To review: Everyone's taxes are going down now for many years, and then, if no one does anything in the future, they will revert to pre-tax-cut levels. The Democrats call this a tax increase. The only reason the reduced tax rates are not permanent to begin with is because the Democrats refuse to support the bill because they hate the idea of the government confiscating less of your money. Due to the Senate's stupid rules, Republicans need 60 votes to make the tax cuts permanent, but only 50 to make them temporary. The Republicans just barely have over 50 votes by themselves. The temporary-ness of the individual income rates are entirely because of the Democrat Party, who has turned around and said the Republicans will be raising your taxes once the bill comes into effect. The media is then breathlessly reporting the Democrat Party line because they are FAKE NEWS. Personally, I'm excited by the repeal of the ObamaCare individual mandate that forces you to buy health insurance or pay a tax penalty. That was just a totally thrown-in icing on the cake, courtesy of Senator Rand Paul. Plus, speaking of ice, they're gonna be drilling for oil in the Arctic National Wildlife Refuge (Alaska), which is fantastic economic and energy policy. I want to note that I did not use the words “reform” or “simplification” to describe the tax policy, which is its biggest failing. (Besides that it isn't the FairTax.) The tax code got longer, not shorter and more simple. There were more carve-outs and crap added than removed. They kept the number of income brackets instead of reducing them. That is the WRONG direction. By the way, don't let anyone tell you that it's a bad thing that the tax cuts relieves some tax burden off of wealthy people. Wealthy people are the ones paying most of the taxes to begin with. Who else would reduced tax rates across the board help the most? Certainly not poor people, many of whom are already not paying anything in federal income taxes. Obviously a tax cut won't help someone who isn't paying taxes! It might even result in them getting a tax increase, because with corporations hiring with more job openings due to being able to expand faster, they could get a better-paying job and suddenly not be so poor. BY THE WAY, telecommunications companies are giving their employees more money as a result of both the tax cuts, AND the deregulation of the Title II rules that were constricting them. They also will be increasing Internet infrastructure. So far, that justifies what KoopaTV wrote about how abolishing Title II regulations on Internet Service Providers (which some people mistakenly call “net neutrality”) helps the quality of the Internet! Two policy WINNINGS in a week culminate in MAKING AMERICA GREAT AGAIN! KoopaTV wants to hear stories in a few months about how your take-home pay has changed thanks to the change in federal taxation. Try to remember to comment back here at that time! In the meantime, if you have any specific tax-related questions, go talk to the financial advisers that commercials always assume you have. Ludwig isn't one, he just forced himself in a tweet to have to write about this tonight. 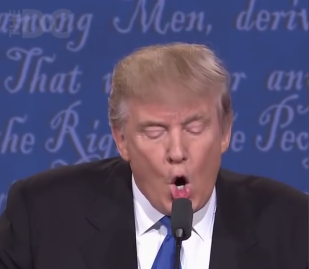 With taxes out of the way, can President Donald John Trump please move towards abolishing Daylight Savings Time? ...Seriously, abolishing Daylight Savings Time would help America be GREAT again. This tax cut is the cause of KoopaTV giving out a BONUS to its own staff! Read the press release here! If you want to read a whole article dedicated to the FAIRtax, click here! Tax Day still exists after this tax package! I am age 30 and barely even close to being age 31 as of this comment. My family is personally fixated on the news about Sholom Rubashkin right now. Yup, you're just short of living through the last time this kind of thing happened. I think that's great for the Chabad community (not that I approve, at all, of him employing hundreds of illegal immigrants), but, I mean, taxes are a lot more important. My mother did not fully understand this tax bill so if I remember, I am going to show her this article. Great! I'm not sure wot she'll get out of it since this article doesn't go in-depth on the tax bill particulars, though. I honestly cannot tell if this is satire or you're just a fool. If it's the former, then carry on and ignore the rest of my message. If not, then you need to get your facts straight and pull your head out of the sand. Stop reading from hyper-partisan right-wing garbage and get your information from reputable sources. Here's four that I found easily on Google. Make sure to read them through completely. Now, please enlighten me on how the poor, average American will benefit in the long term of this plan. I'd love to see you try and discredit the opinion held by the majority of the leading economists in this country. What exactly are your credentials, random Internet blogger? It doesn't surprise me you're against the environment, net neutrality, and the Russian investigations as well, but that's a whole another story for another time. You say that the mainstream media is fake news, but it is really YOU, sir, who is fake news. I leave you now with the following quote. So... you came here to non-specifically attack the article's premise by linking to four "reputable sources" without actually explaining what about the article is incorrect? And you're supposed to be some kind of intellectual? That's the laziest trick in the book. Here, let me teach you some courtesy, Mr. Anonymous, since I believe in adding value rather than losing it. If you're on the Internet and you disagree with an article, when you go to the comments section, you're supposed to actually make a counterargument addressing the article. If you have sources to back up your counterargument, well, those sources back up the counterargument. Sources are not an argument in and of themselves. Give me your counterargument. It's not up to me to find a counterargument for you. That's lazy on your part. An explanation of how the poor, average American will benefit from the plan is located in this article. You should read it. 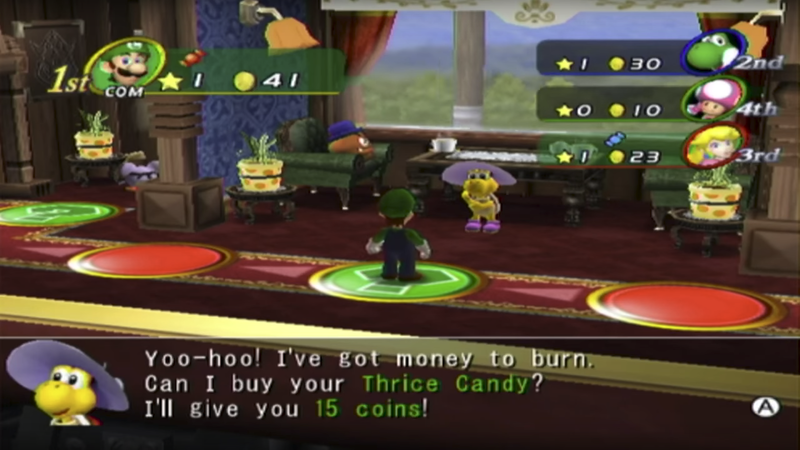 If Anonymous spent as much time on Mario Party 8's Perplex Express as he does the New York Times, he would know wealthy Koopas are BEGGING to stimulate the economy. Since estimated taxes are based on the previous year, I'll need to wait a year to report back on how my taxes have changed. ...yeah I guess it's different for you since you're uncertain how much you'll get to make every year, you unsalaried freelancer you. I stand corrected--I can comment on one thing now already. Apparently there's a new 20% deduction for self-employed people. Oh HEEEEEY. That's GOOD! GOOD NEWS! You get something positive after all! I'm not too knowledgeable on the subject or just how exactly this will affect me, but I am aware that the majority of Americans seem to be against this plan including that person above. If what you say is true, then I'm not sure why they would be. I also happened to stumble across this satire piece and thought you might get a kick out of it. Americans are against it because the method in which they receive information — the “reputable sources” (aka FAKE NEWS MEDIA) that the moronic Anonymous touted — all told them that their taxes are going up to fund tax cuts for the rich. Once 2018 unfolds, people who listened to the FAKE NEWS MEDIA will realise that they were lying to them, because they will be able to tell that they're paying less. The lying imbecile that calls itself Ludwig von Koopa is afraid to answer simple fact-based questions about the tax plan. Thank you for proving yourself to be a lying imbecile, Koopa.